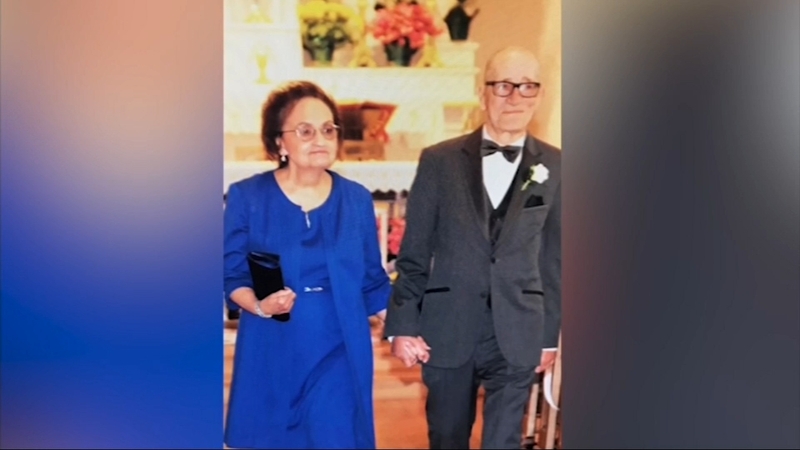 WINFIELD, Ill. (WLS) -- An elderly Winfield couple and their adult son who were found dead Monday died of sharp force injuries in a murder-suicide, investigators said Wednesday. Police said Nancy Clinkenbeard, 77, Clyde Clinkenbeard, 76, and Karl Clinkenbeard, 50, were found dead in their home on Tuesday after a neighbor noticed there hadn't been any activity in the home that day. Katie Earls said she had returned home at 5:30 a.m. from an early morning walk when she saw one of their dogs outside. "I started banging on the door, ringing the doorbell. All the lights were on in the house. I didn't see anything. I was banging," Earls said. Earls said her husband peeked in the Clinkenbeard's kitchen window and made a gruesome discovery. "He saw Tom who lives in the house and his son Karl on the floor and he said they're dead. They're dead. Call 911," she said. At this point, police are not saying how the three family members died and whether there was a motive. Autopsies revealed that all three of the deceased had "multiple sharp force injuries," investigators said. Neighbors said police were called to the home on Saturday to break up a fight between Karl and the Clinkenbeard's other son, Keith, and Keith's son, Joshua. Up until that point, the neighbors said they were not aware of any domestic incidents. Winfield police are calling this a death investigation and are receiving assistance from the DuPage County Sheriff's department. They said there is no reason for the public to believe they are in any danger.